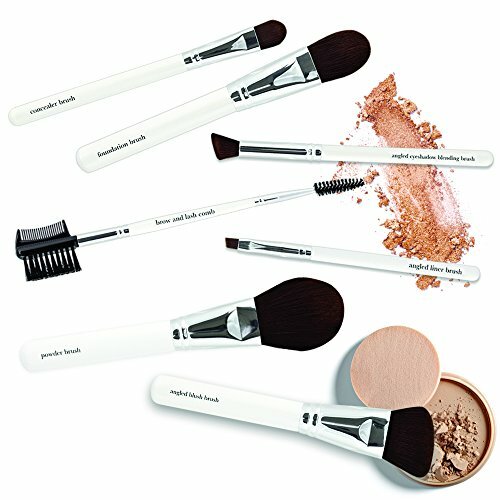 When it comes to brushes, start with the essentials! A great powder, eyeshadow brushes, and a liner brush can help get you ready in no time! This 7 piece set has it all! POWDER BRUSH - This plush, fluffy brush prepares the face for a flawless, even complexion. ANGLED BLUSH BRUSH - This multi-tasking brush makes for easy application of blush, bronzer, highlighter, and even contouring powder. FOUNDATION BRUSH - The tapered bristles fit the contours of your face to blend foundation seamlessly. CONCEALER BRUSH - The perfect size and shape for concealing in hard to reach areas. 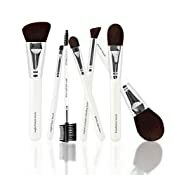 ANGLED EYESHADOW BRUSH - The unique shape of this dense brush is used to blend and contour the eye. ANGLED LINER BRUSH - This multifunction brush works to define the eyes. BROW AND LASH COMB - The perfect tool for finishing your eyes!